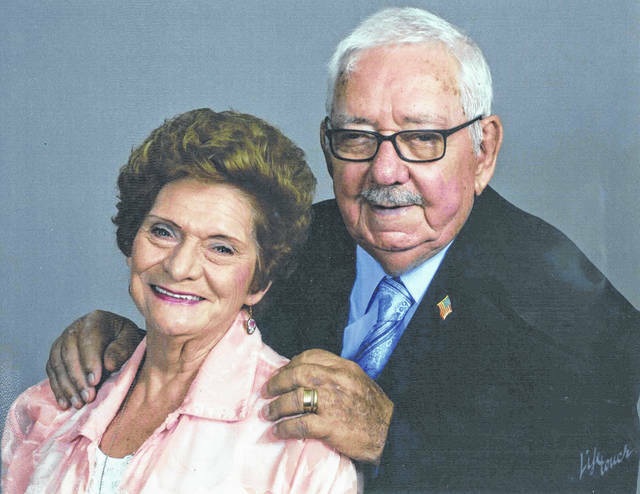 Gene and Nancy Reeves of Spring Valley celebrated their 65th wedding anniversary April 3. The couple was married in Richmond, Ind., April 3, 1954 at the First Friends Church with the Rev. David Castle officiating. Gene, formerly of New Burlington, is retired from Dayton Power & Light, while Nancy, formerly of Bellbrook, is a homemaker. Residents of Spring Valley since marriage, they are the parents of Judy Reeves of Long Beach, Calif., Chuck Reeves of Bellbrook, and Jill Jacobs of Xenia. They are the grandparents of Cameron and Elaina Jacobs of Xenia.